A slightly belated congratulations to March: Book Three, the final book in Senator John Lewis's autobiographical March trilogy. In addition to the Coretta Scott King Award, March: Book Three also won the Printz Award, continuing the graphic novel format's strong history with this award (last year, This One Summer by Mariko and Jillian Tamaki took a Printz Honor and American Born Chinese by Gene Yang won the award in 2007). 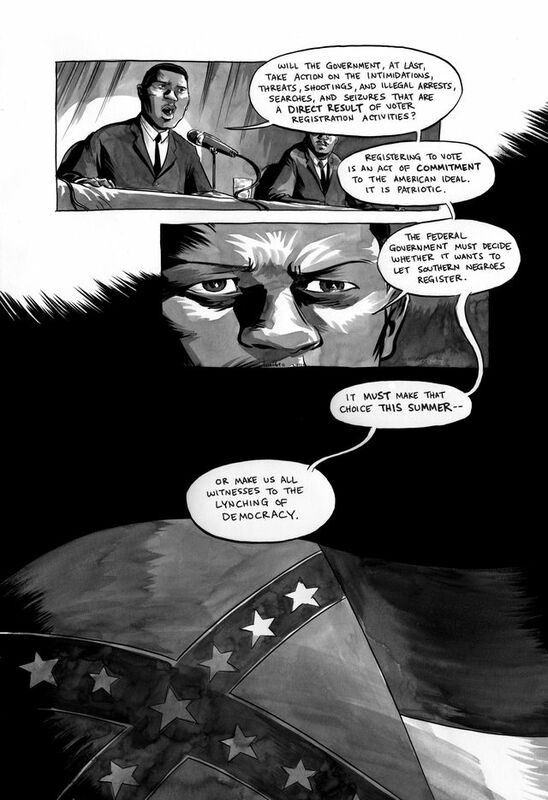 This is on the heels of being the first graphic novel to win the National Book Award. It maybe worth thinking about why a book with this particular political outlook should be accruing so much acclaim during this period of the country's political life.